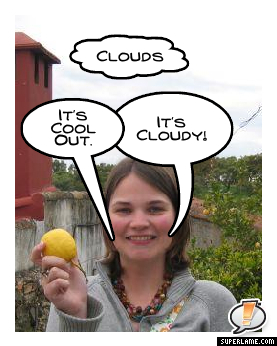 You want to learn some weather vocabulary and here is a simple way to learn about the weather. 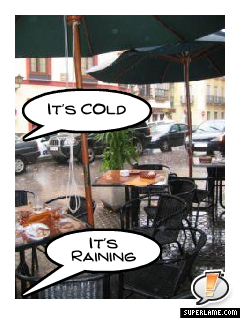 Talking about the weather is a great way to continue a conversation with someone. Cloud - Is a noun. It is a collection of water particles or ice in the air that you can see. You can describe the weather as being cloudy when there are a lot of clouds in the sky. Wind - Air moving in a natural motion. You can not see it but you can feel it. You can describe the weather as being windy when there is a lot of wind. Rain - Visible precipitation, water, falling from the sky. Cold - having a low temperature. Cool - Having a low temperature but not as low as cold. 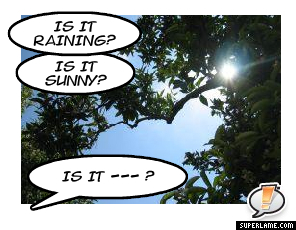 Let's learn how to ask questions and describe the weather. 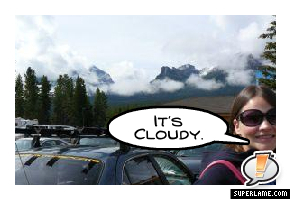 It's cloudy = It is cloudy. You can see the clouds over the mountains and the sky is not blue. When you are inside and do not know what the weather is like, you can ask "What's the weather like outside?". 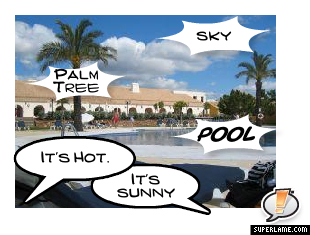 Describing the weather again, you can refer to the temperature. It is cool out or it is cool outside. In the moment, you can say what is happening. It is raining, right now. 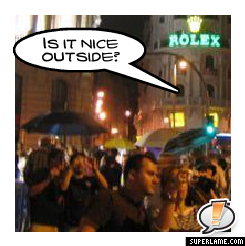 Again, when you are inside and what to know what the weather is like you can ask, "Is it nice outside? 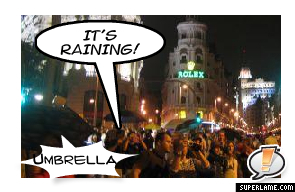 ", "Is it raining? ", "Is it cool out?". 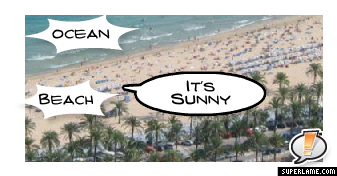 When we describe the weather we talk about what is happening and also the temperature. It is sunny, mean that there is a lot of sun, no clouds and it is probably hot. 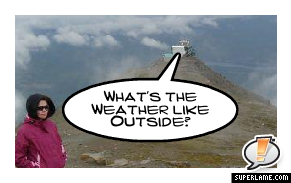 Asking questions about the weather is easy. Just use the structure, "Is it ______?" Saying and listening to the audio again and again will help you remember the new words and associate them with the pictures.